There is a temptation to be dismissive of mainstream blockbusters. In truth, there is no merit in dismissing a film purely because it is part of a seemingly endless glut of studio products. It can have qualities whether it is part of a regrettable saturation trend or not. 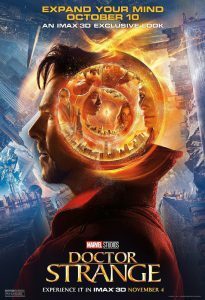 As someone who can happily enjoy a superhero film but is decidedly fatiguing with the assembly-line mass-production of them, Doctor Strange was an undistinguished but by no means irksome affair. I just had the feeling I had seen it all before. 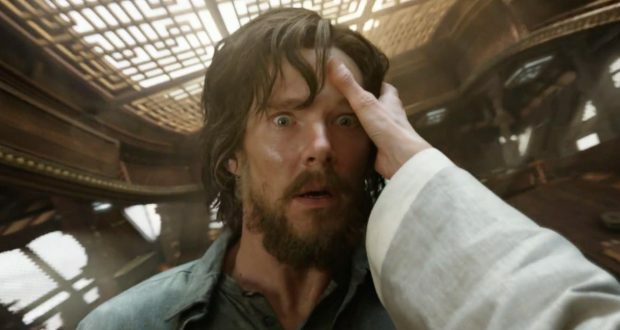 Doctor Strange is fundamentally like every other Marvel origin story. It has the same central character that spends 80% of the runtime becoming the hero, who then eliminates the big threat in the last 15 minutes. It has the typical non-entity of a villain who will be excused because ‘they needed to focus on establishing the hero for the first film’. It has the trademark humour that relies on deflating tense situations with glib interjections. I don’t think the film represents any sort of technical failing but it was transparently assembled from a well-worn template. One’s enjoyment of the film is therefore contingent on how tolerant you are of superhero films and Marvel ones in particular. 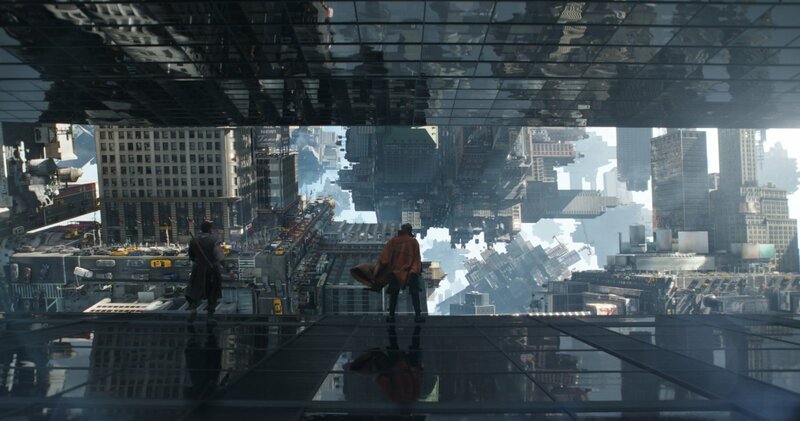 Doctor Strange is not going to convert anyone who hasn’t been already won over. If the audience in the screening I was in is anything to go by, there are plenty of people still enthused by this fare (as if the box office takings weren’t evidence enough). Unlike them, I was groaning at the shameless allusions to other elements of the Marvel Universe but these are hardly enough for me to eviscerate the film. Aside from a few of the kung fu-esque fight scenes needing a lesson in crisp editing (see The Raid, Jackie Chan’s Hong Kong oeuvre and anything choreographed by Yuen Wo-Ping), Doctor Strange was an innocuous way to spend my time. The performances were broadly fine… There’s some misjudged goofy eye effects on the baddies… It’s basically Iron Man with some trippy imagery here and there. There are more interesting points to discuss around the film, to be honest. Tilda Swinton being cast as mystical guru The Ancient One comes with a raft of implications. The character in the comics is a Tibetan man, so we have the laudable effort to switch up gender representation, another example of white-washing as an Asian role goes to a white actress, and the ubiquitous deference to the China market by not mentioning Tibet. This pandering to China in modern American cinema is an ambivalent move at best. Whilst it is nice to see more prominence being given to non-White actors as a result, it is besmirched by the fact that the incentive here is money and not a sincere belief in the merit of wider representation on our screens. And then there is the case that appealing to the Chinese market means specifically pandering to the oppressive government of the People’s Republic. The PRC continues to persecute Tibet so will Hollywood even allude to Tibet as a sovereign state with identifiable nationals? Of course not. Verdict: Doctor Strange is fine. Not spectacular, terrible or special. Just, fine.